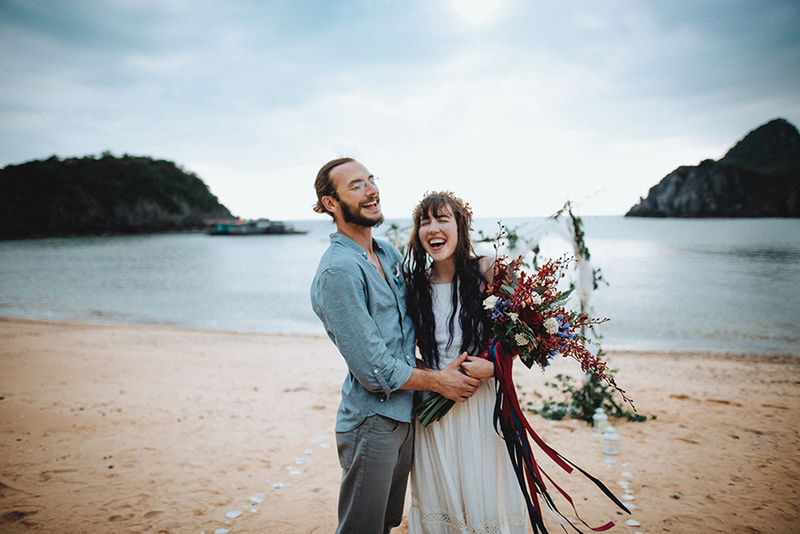 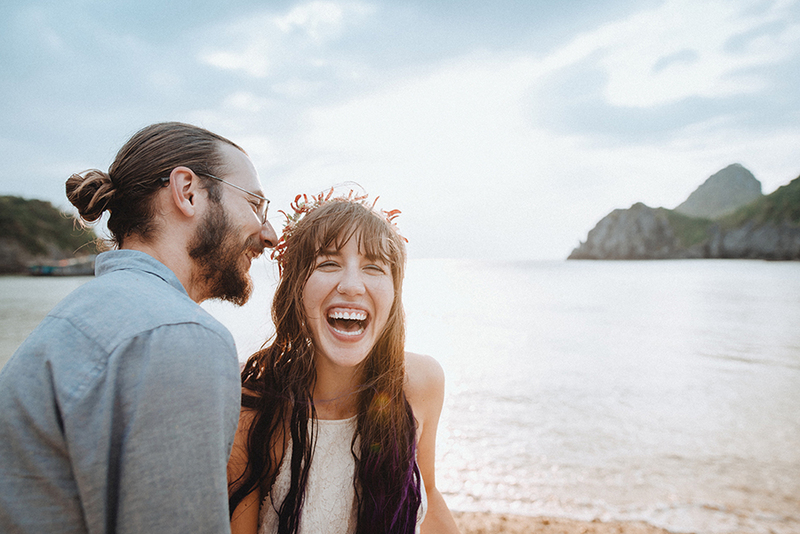 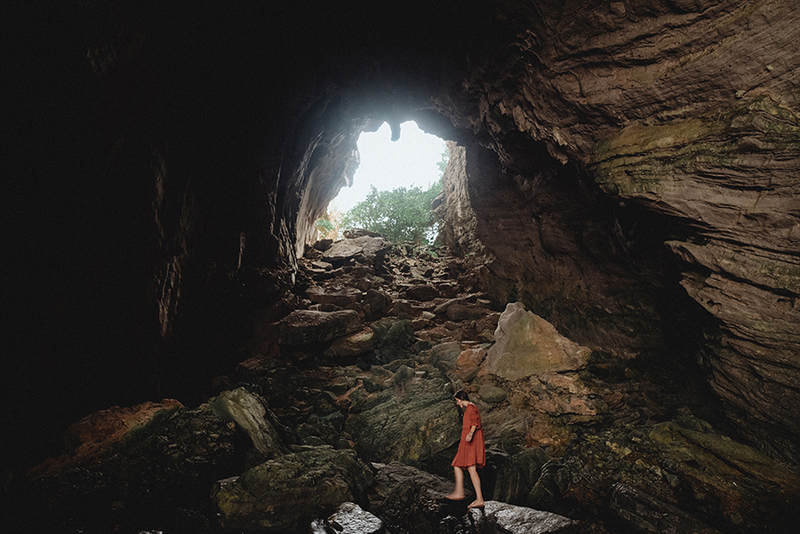 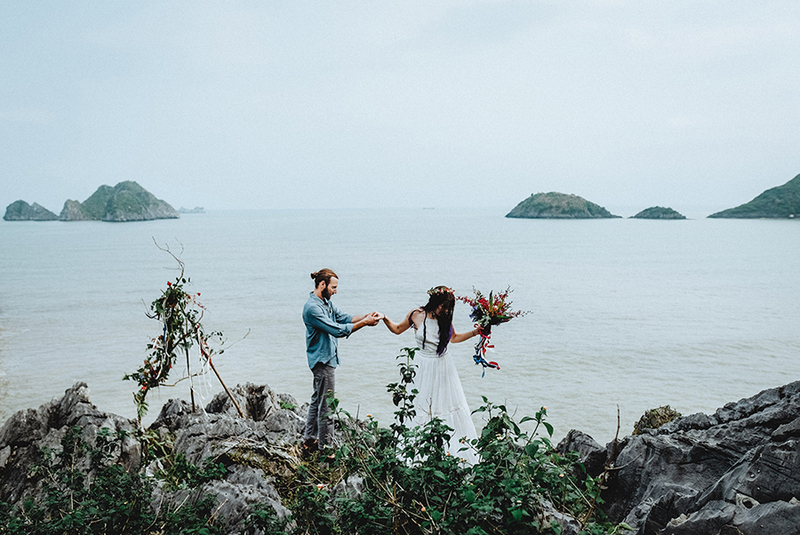 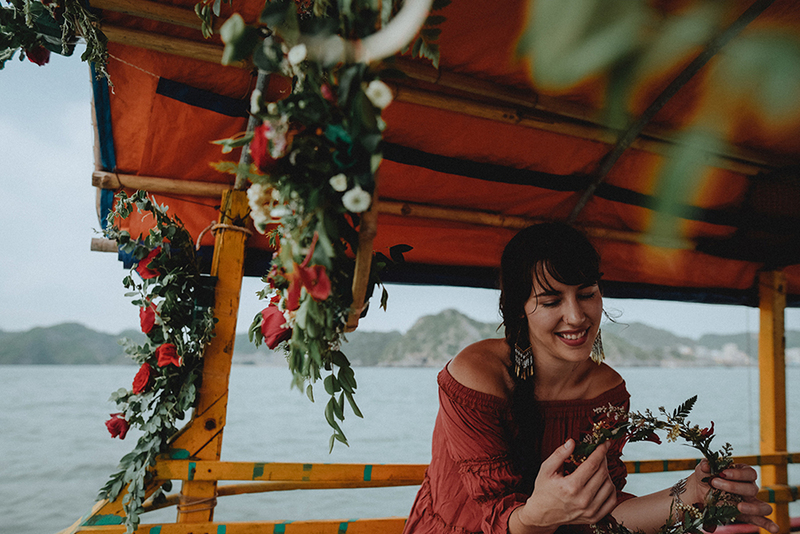 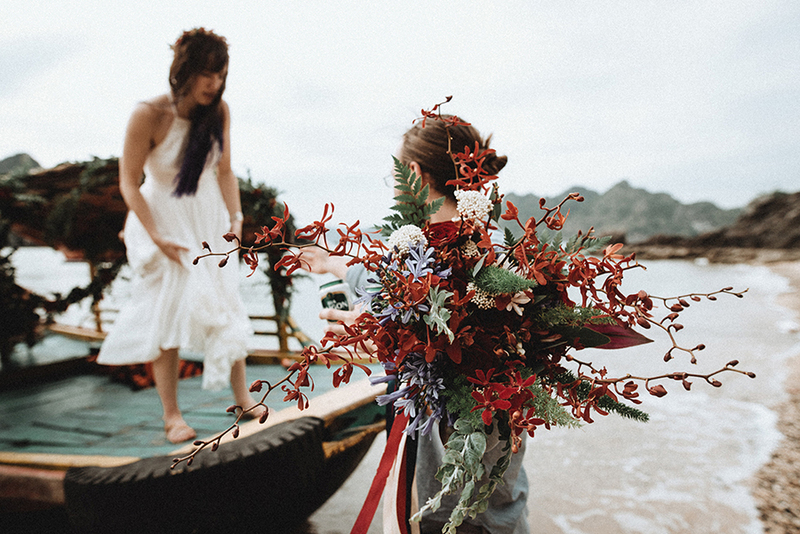 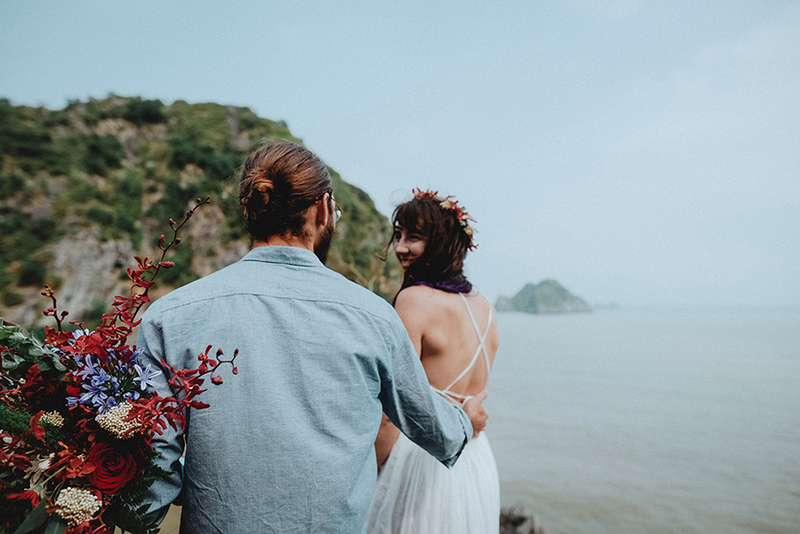 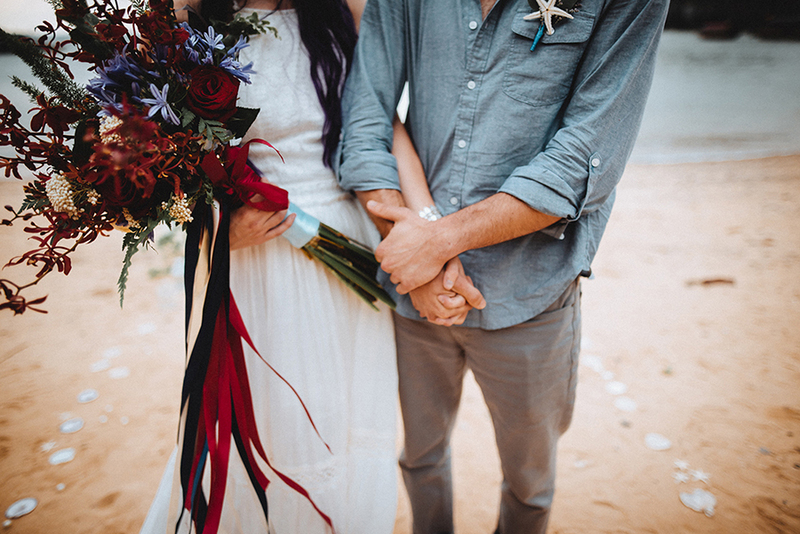 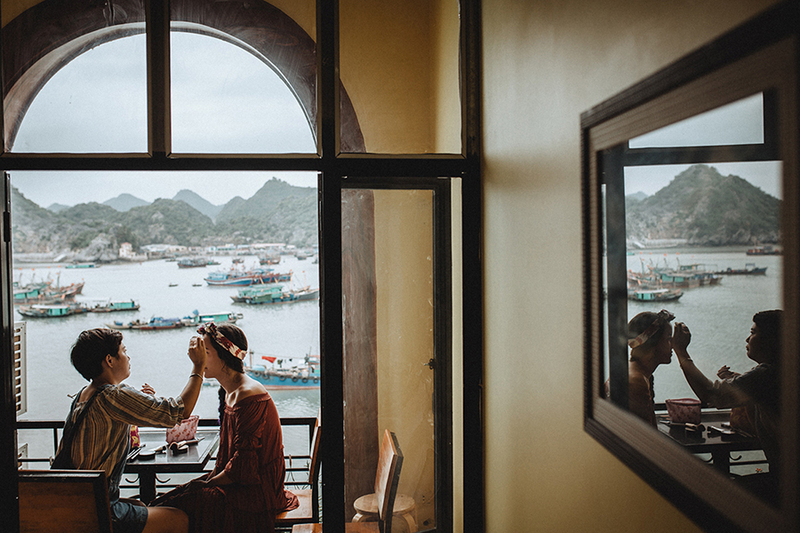 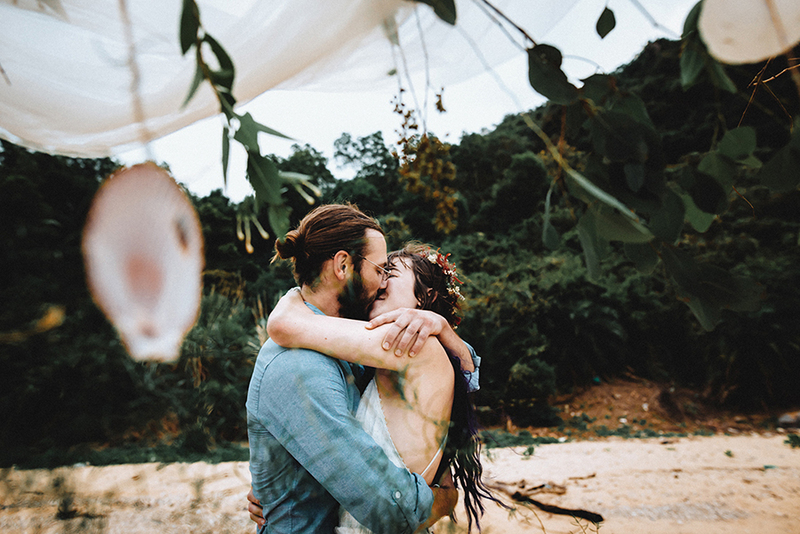 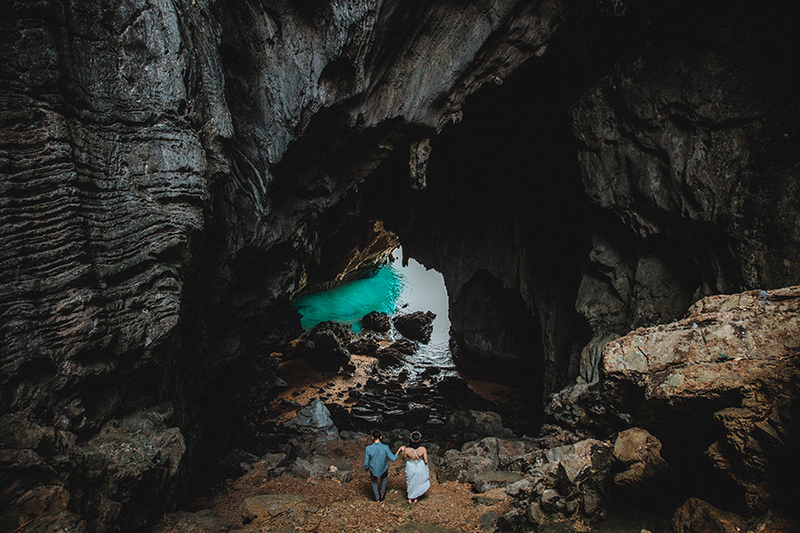 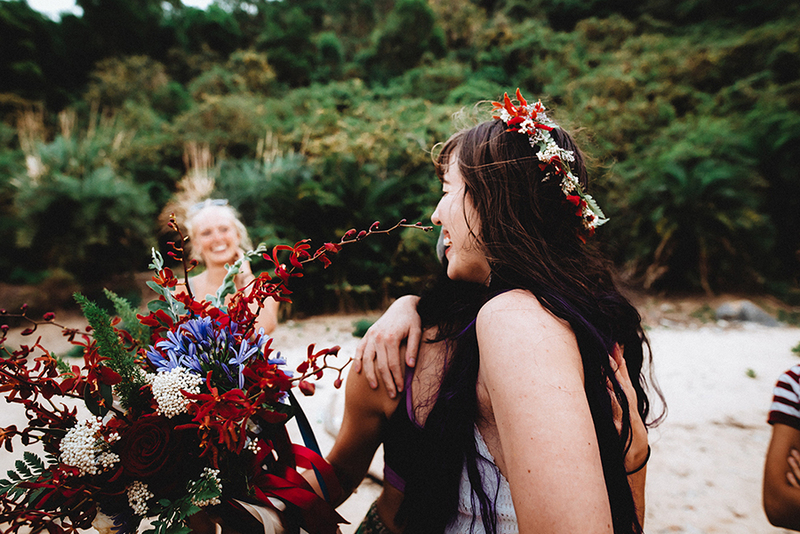 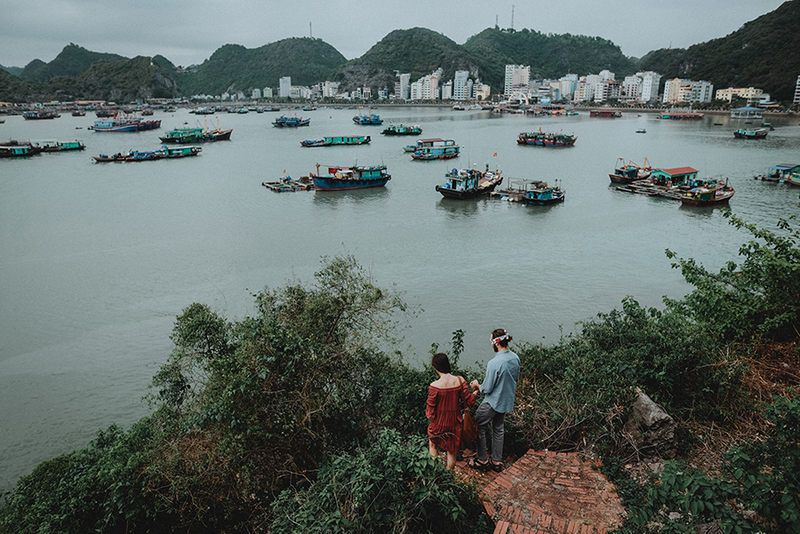 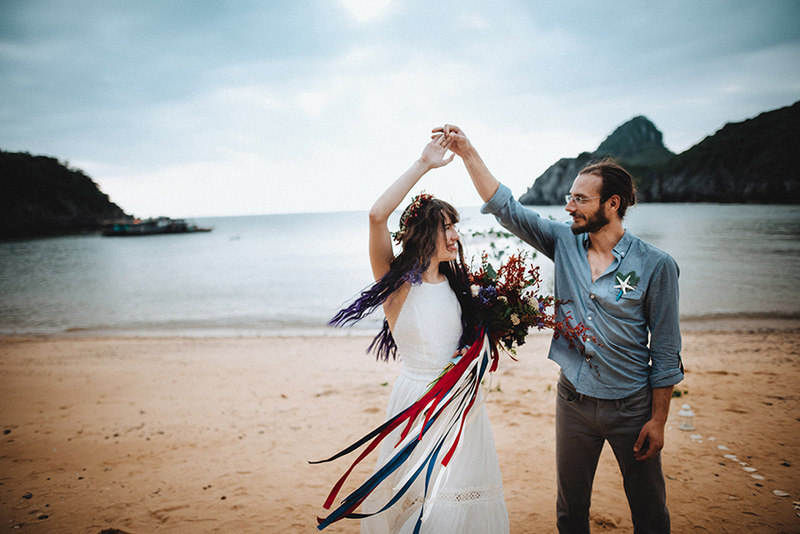 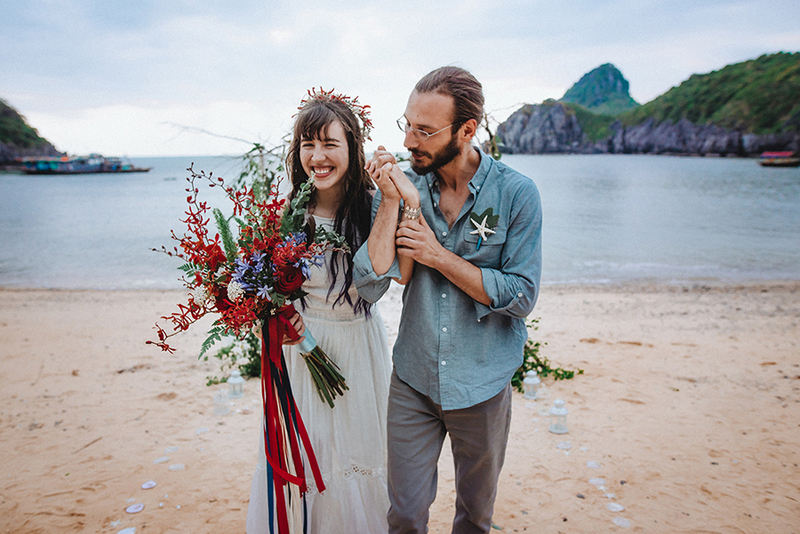 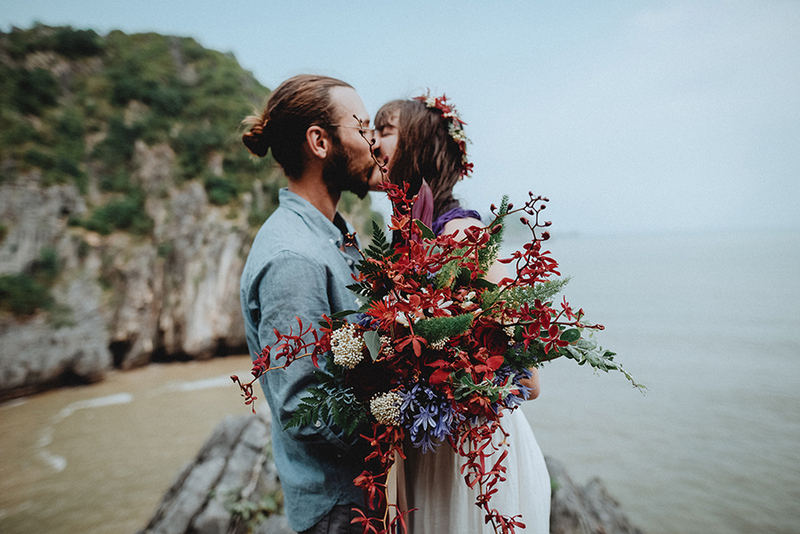 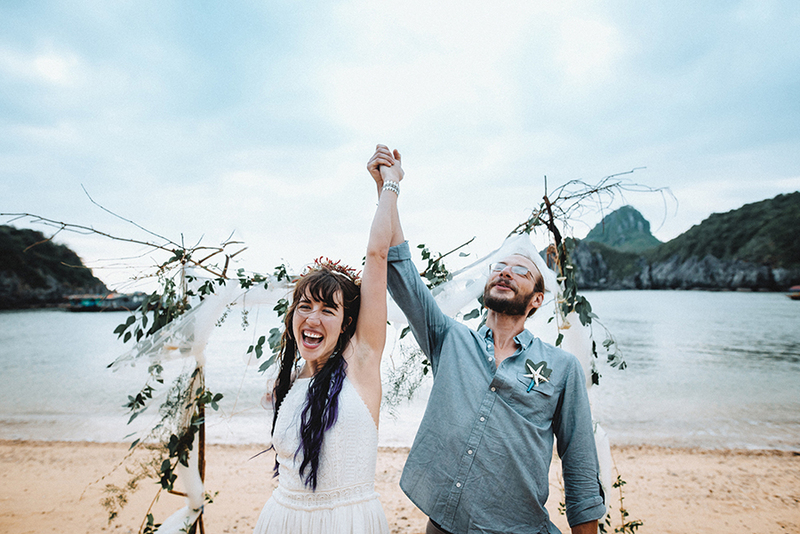 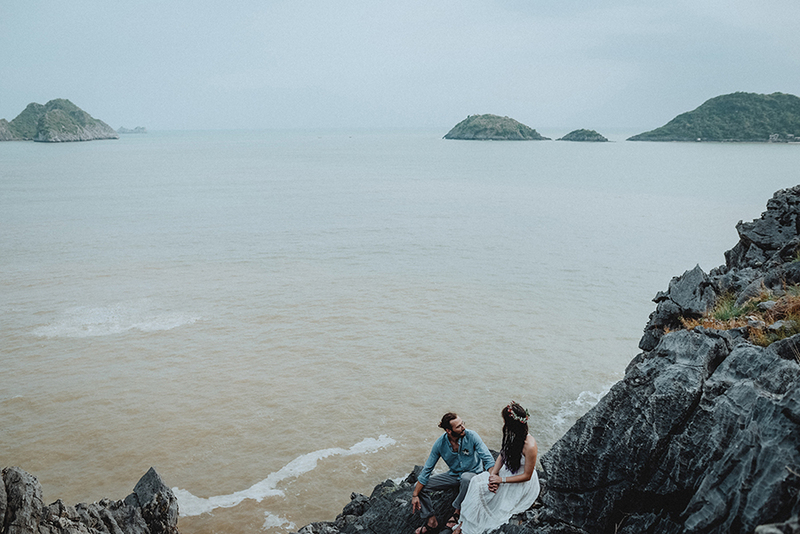 So this in mind, Matt and Rachel decided to travel to Cat Ba Island in Halong Bay and elope with the help of wedding planner HatMem, and photographers Hipster Wedding. 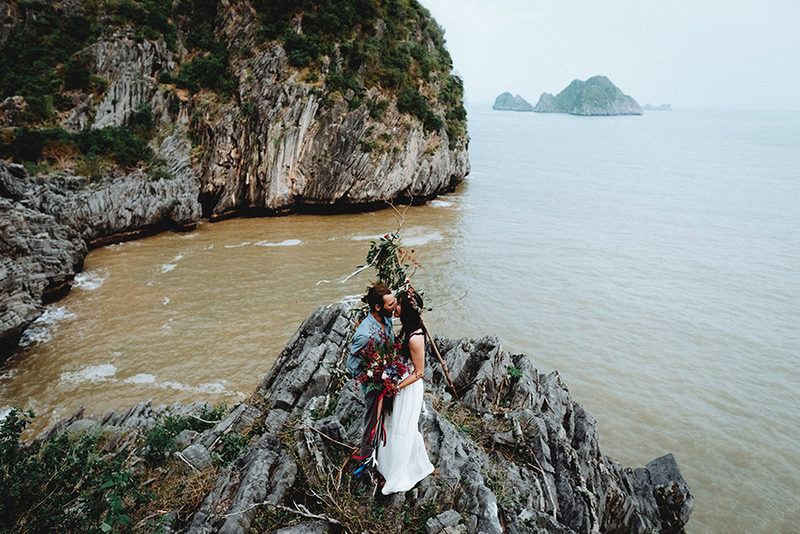 Cat Ba’s spectacular limestone hills and reputation as a world-famous climbing destination suited the rock climbing pair perfectly and although they exchanged vows without family or friends present, it sounds like they made some firm friends in the people who helped make their elopement possible. 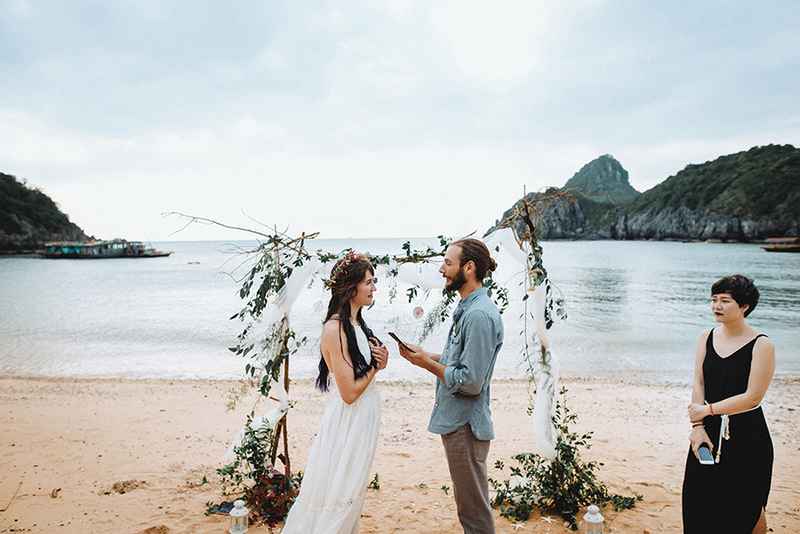 Please tell us more about your elopement! 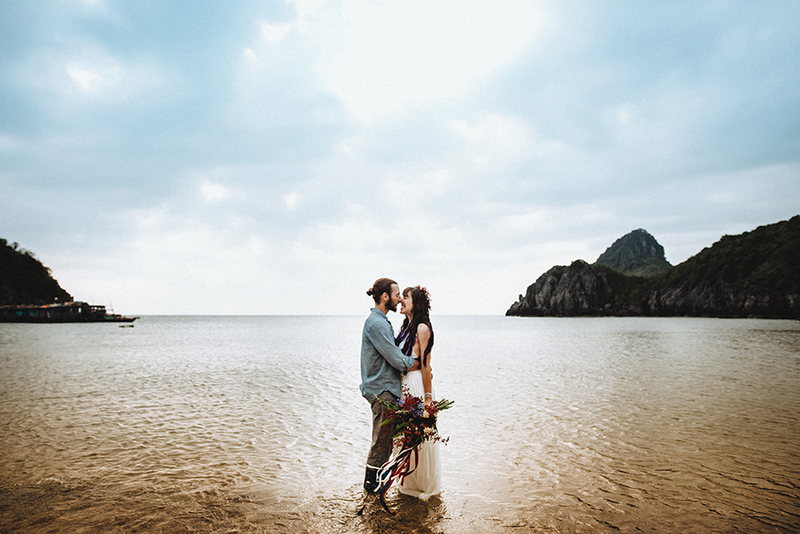 Why Cát Bà Island/Vietnam? 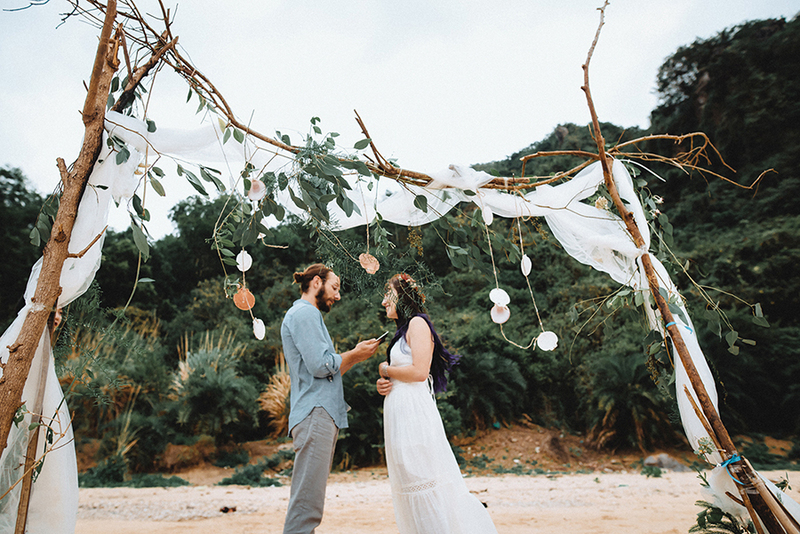 “As I said previously, I just didn’t want to have an expensive, elaborate ceremony. 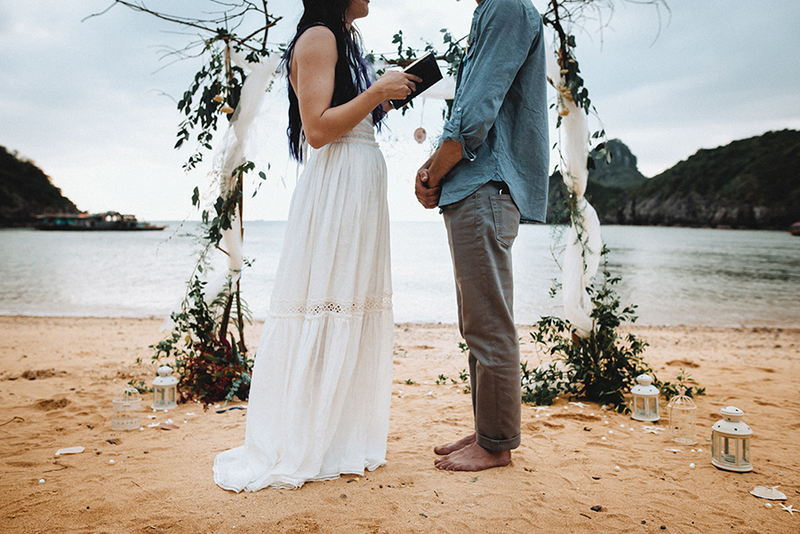 There can be a lot of expectations when it comes to how two people choose to marry and they were consistently bothering me. 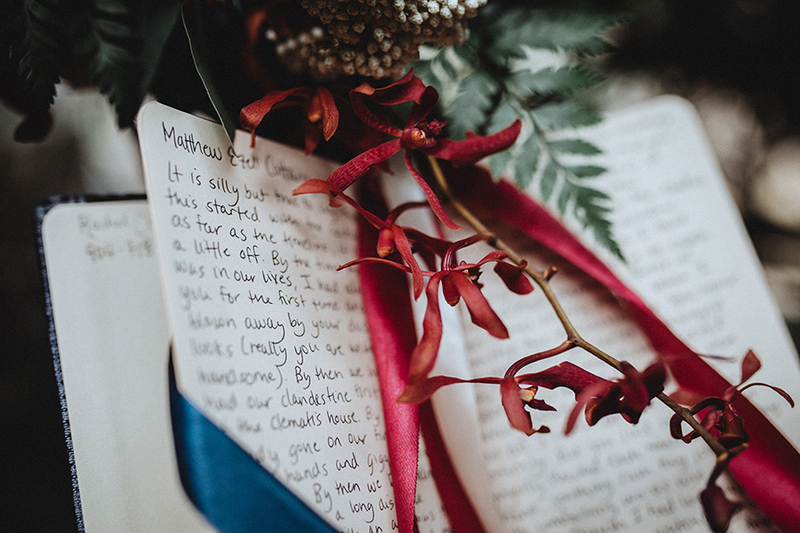 Matt sat me down and encouraged me to think about exactly what I wanted to do, regardless of those expectations. 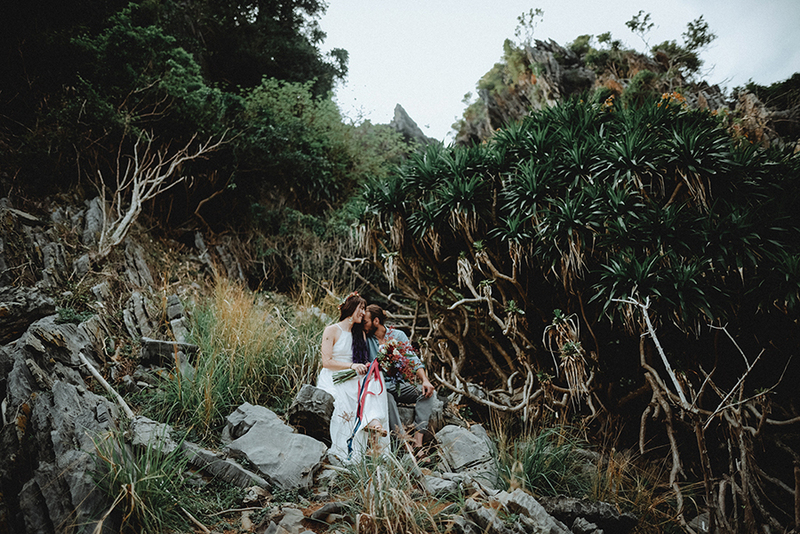 I wanted something intimate and relaxed, where we could both be free to express our love for each other without a pastor or a rigid plan or a lot of people watching us. 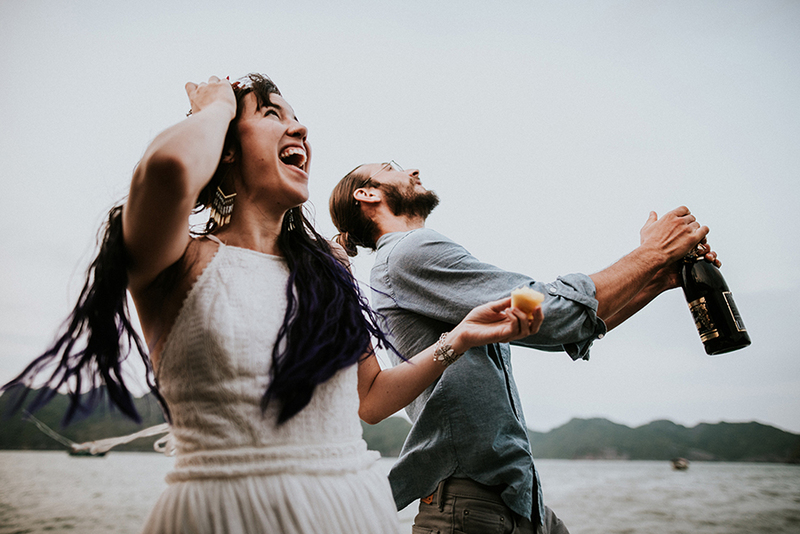 Matt felt the same way, except he also wanted to have a party with all of our friends and family. 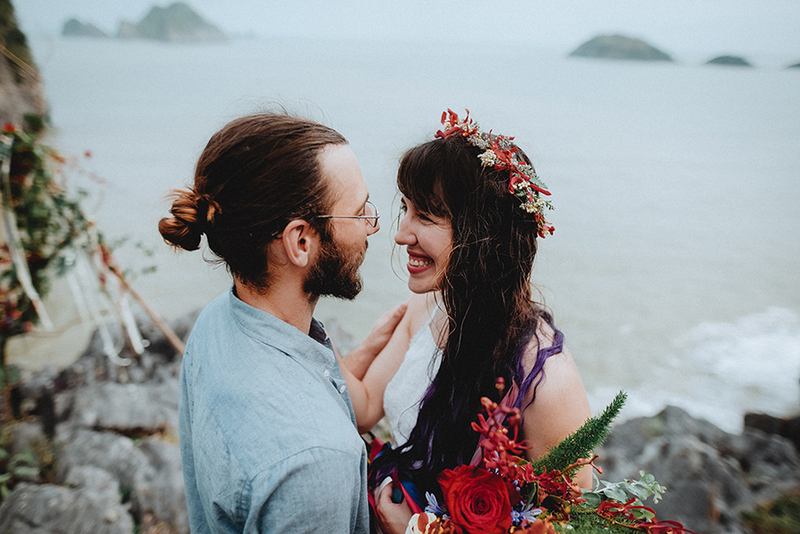 So we decided to elope for the ceremony and come back to the US and have a reception in Nashville. 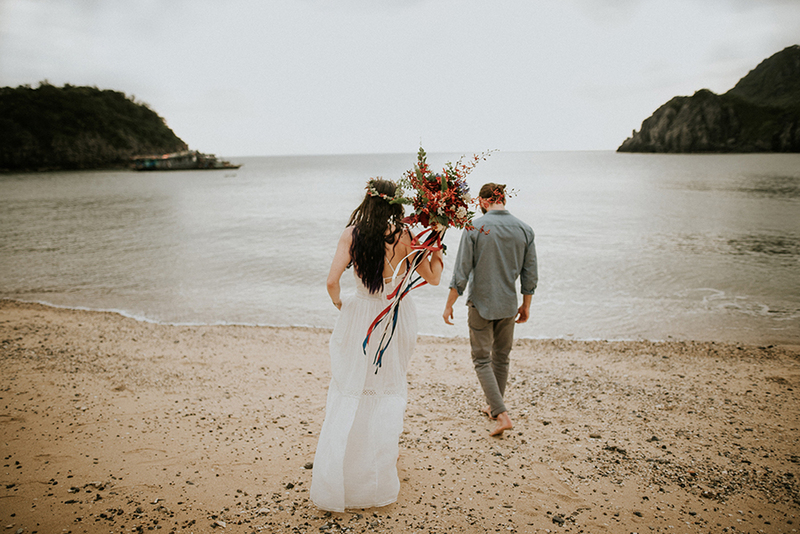 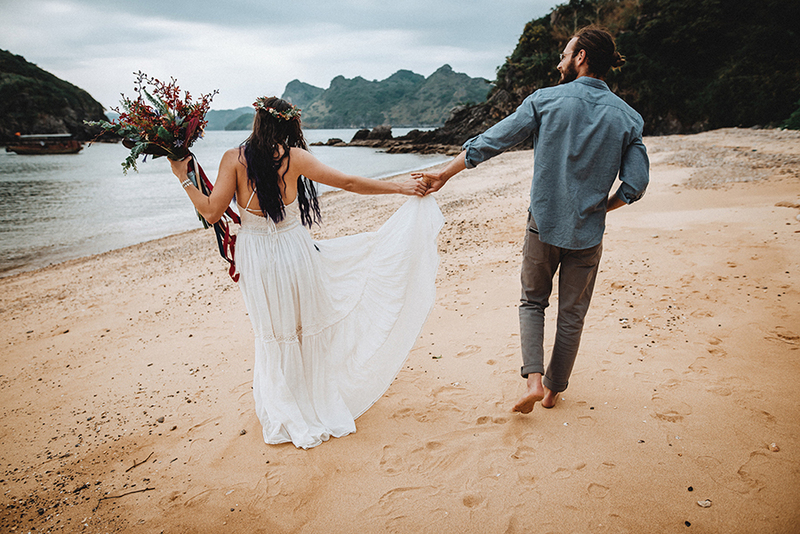 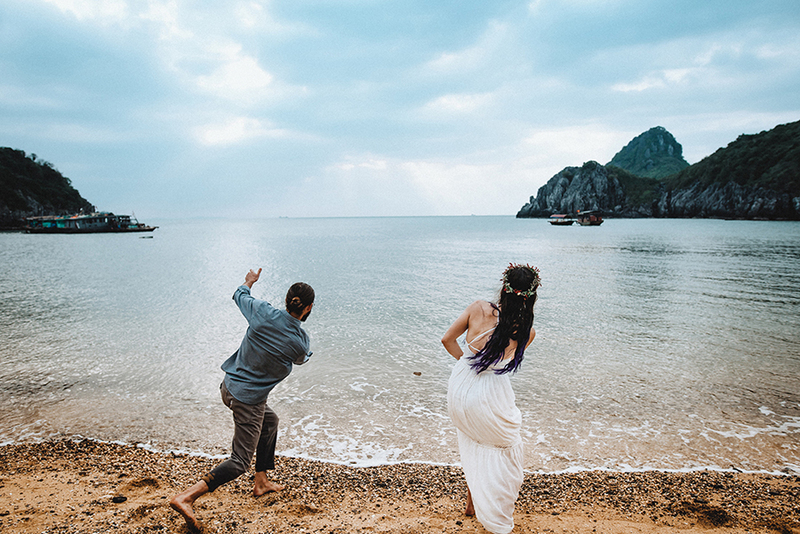 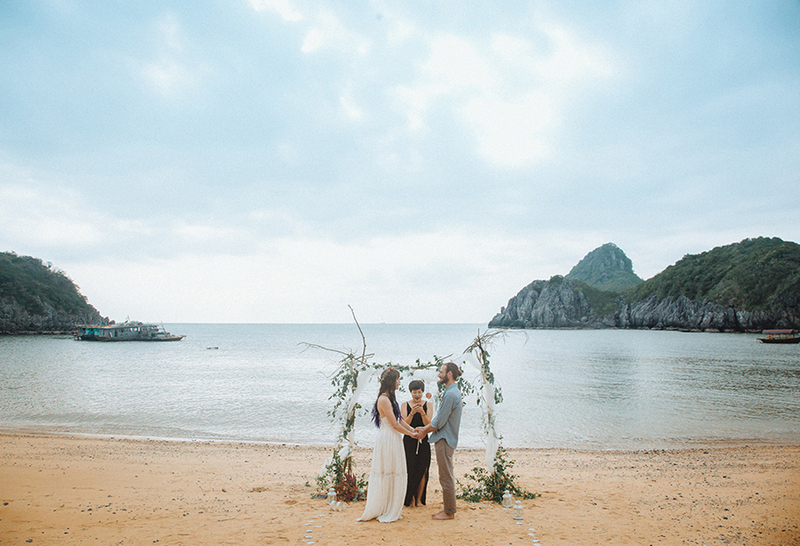 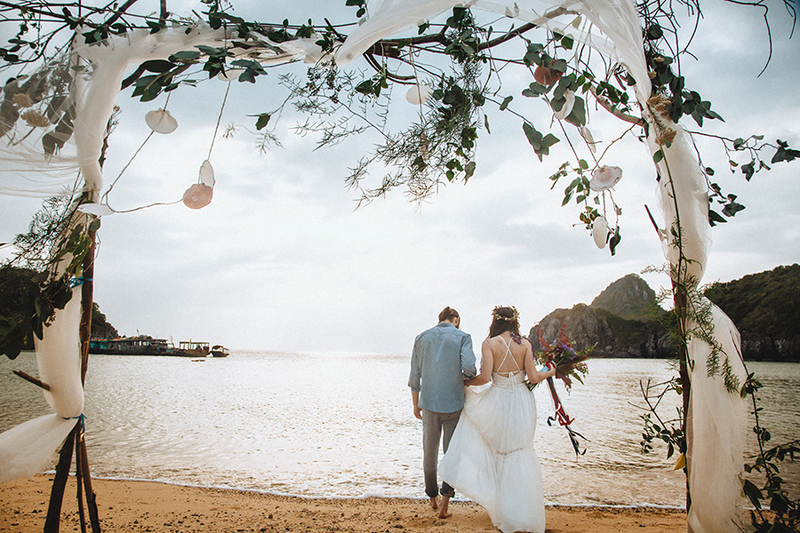 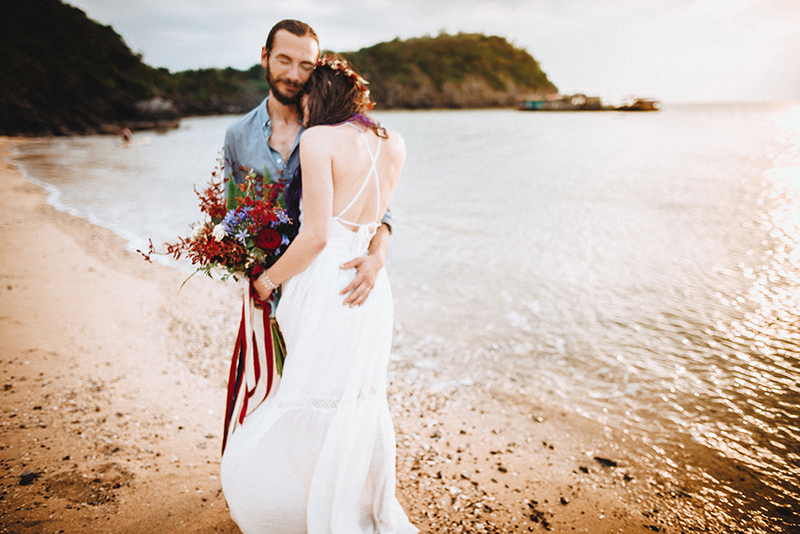 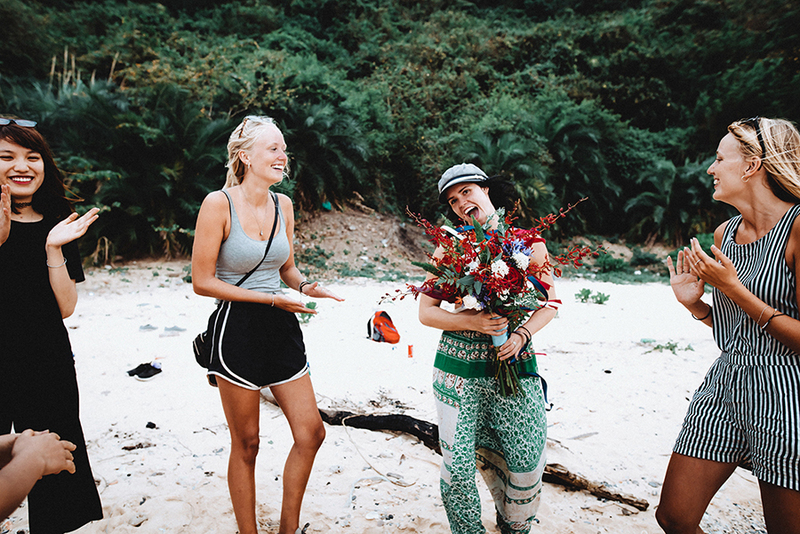 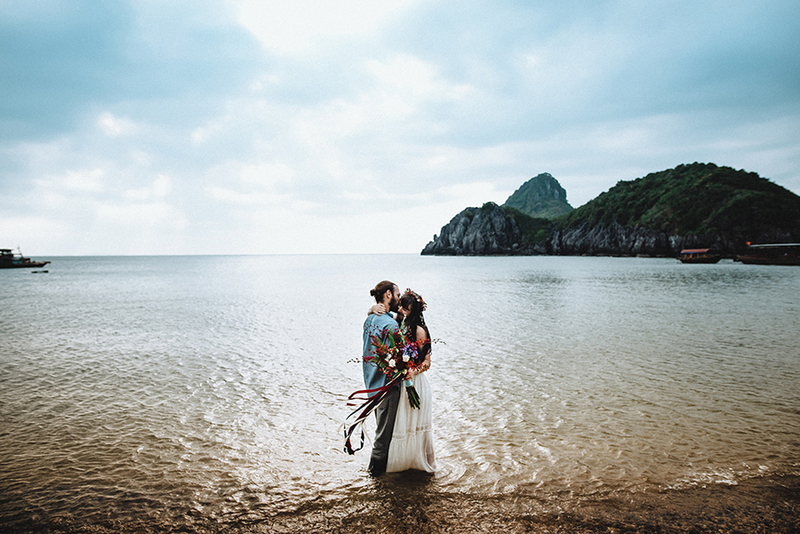 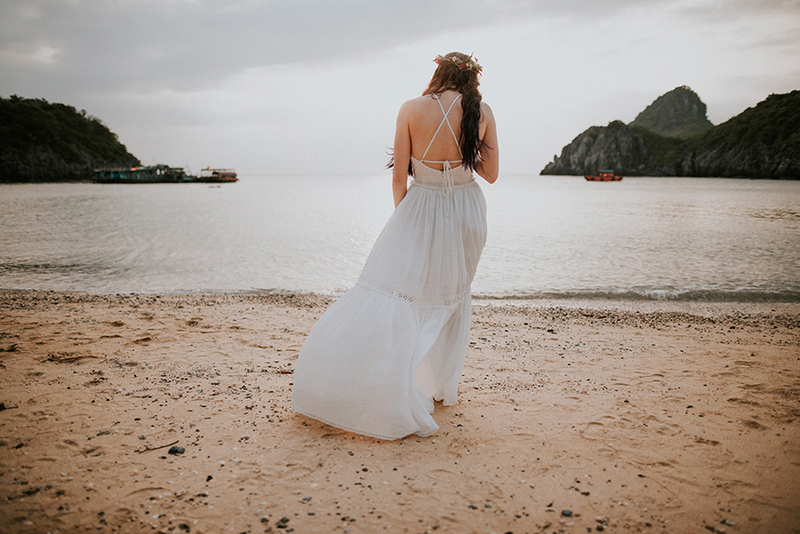 Vietnam is a country we have both always wanted to travel to, and the stunning scenery of Lan Ha Bay seemed like an interesting and gorgeous place to elope. 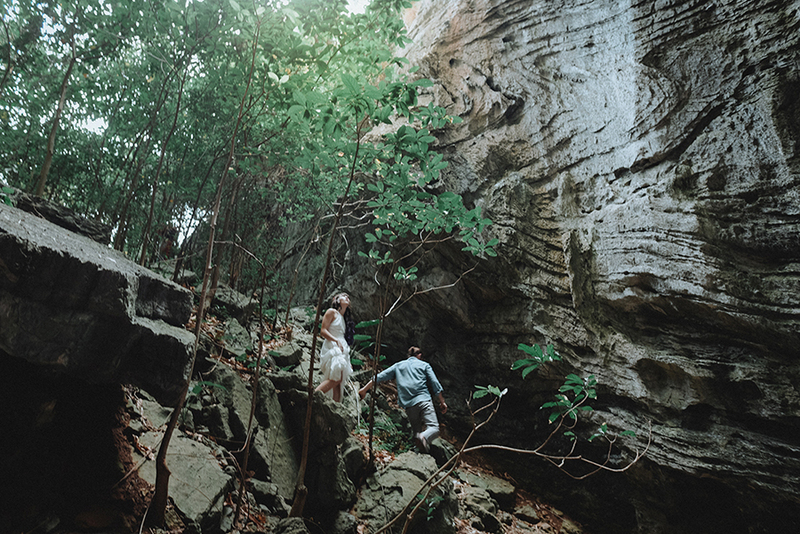 Plus, Matt and I both love to rock climb so we were eager to visit Cát Bà because it is a world-famous climbing destination. 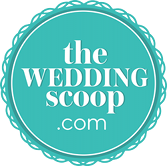 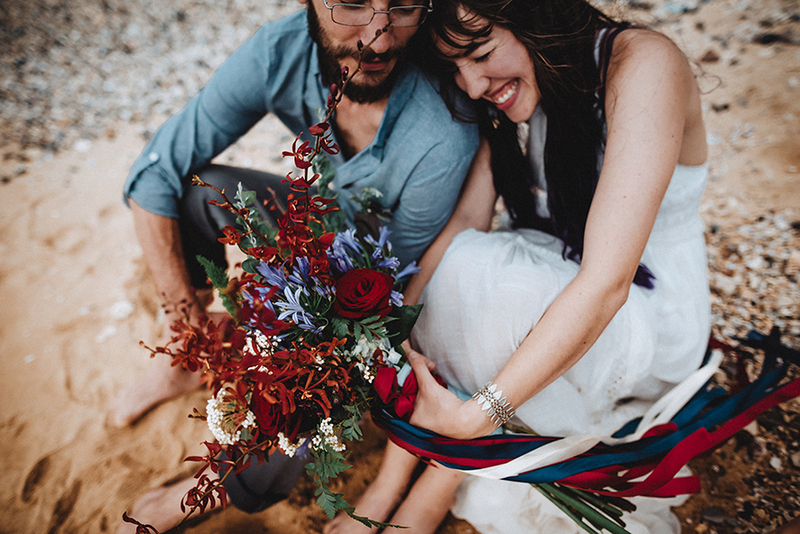 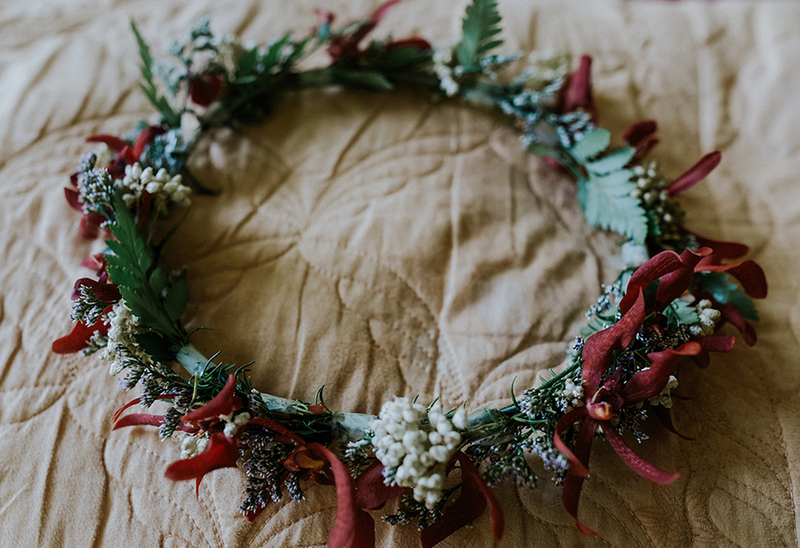 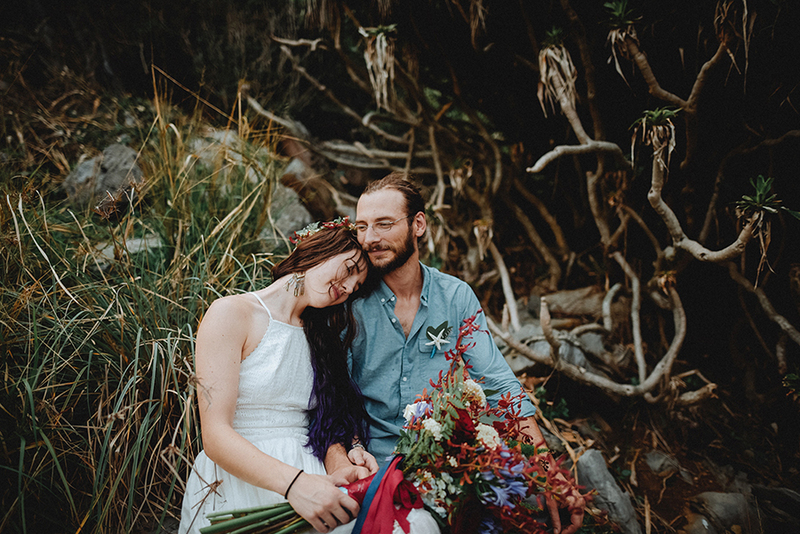 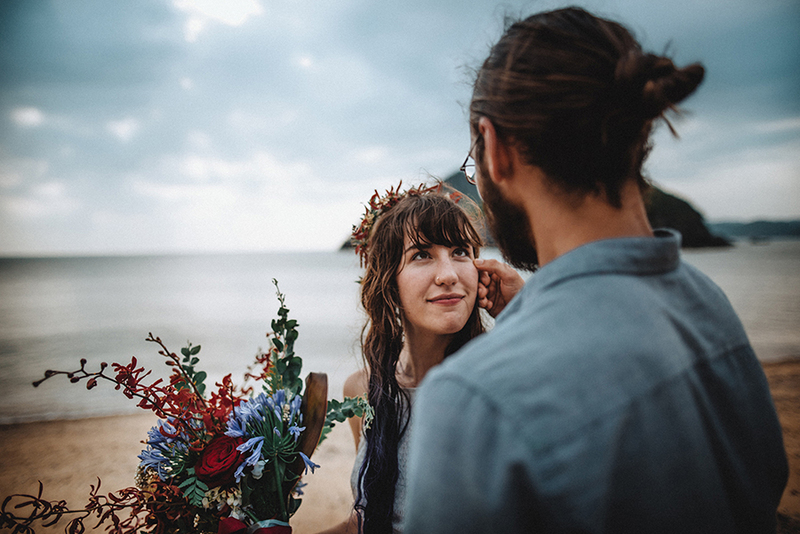 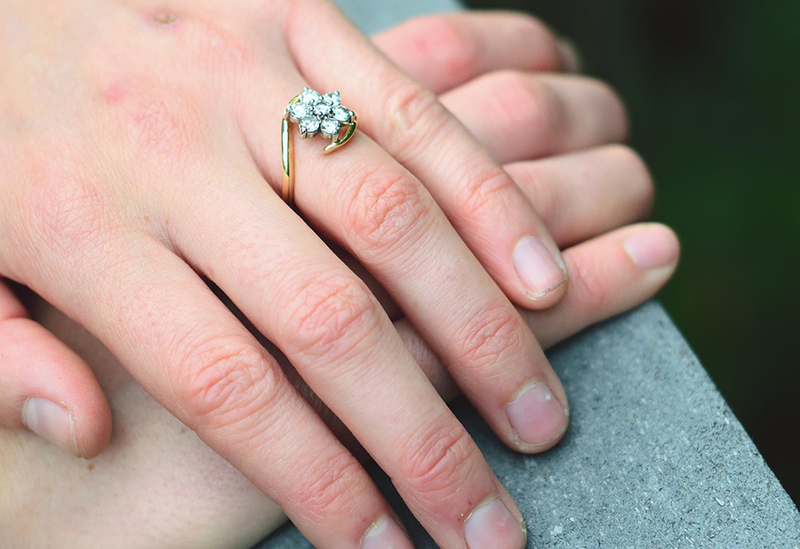 How did you go about planning your elopement? 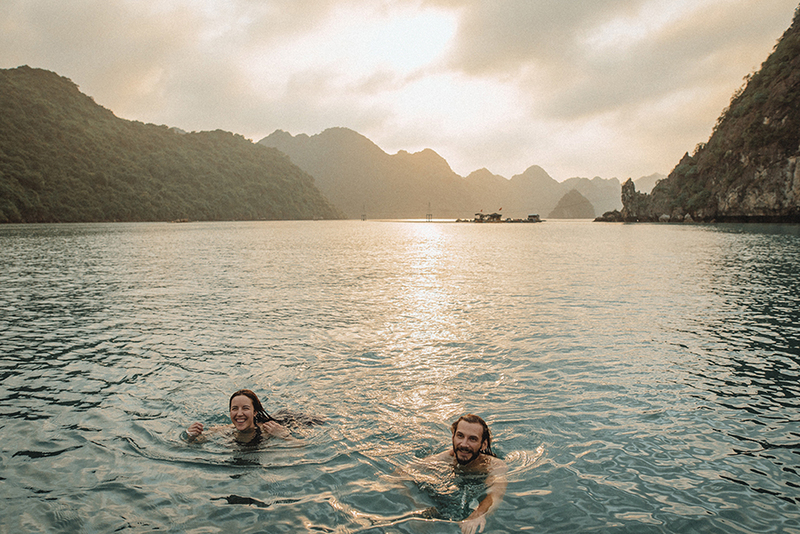 “Once we decided on Vietnam, and particularly Halong Bay, I started a really long Internet search. 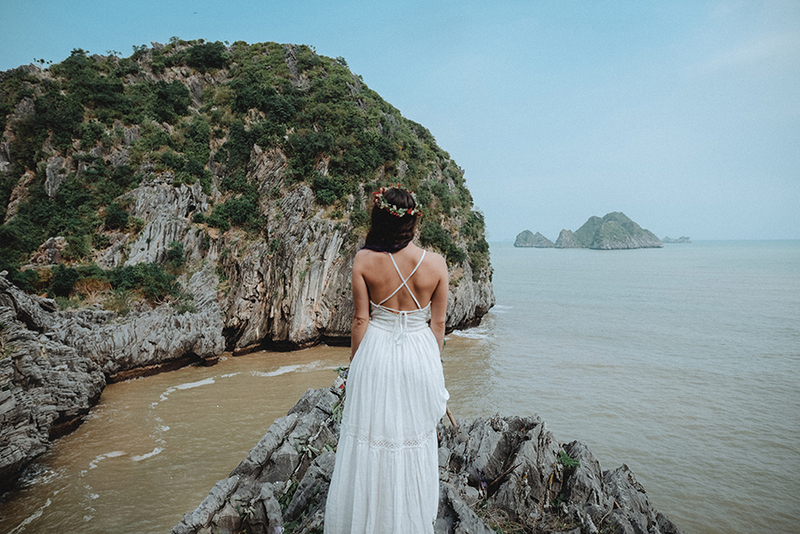 Eloping is relatively common in the US, but I knew it wasn’t as common in Vietnam and neither Matt nor I speak any Vietnamese. 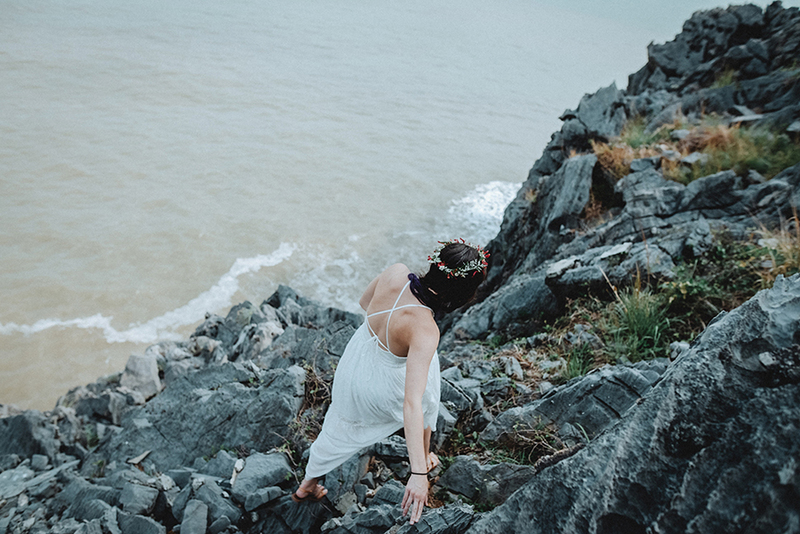 So I knew it would be a challenge. 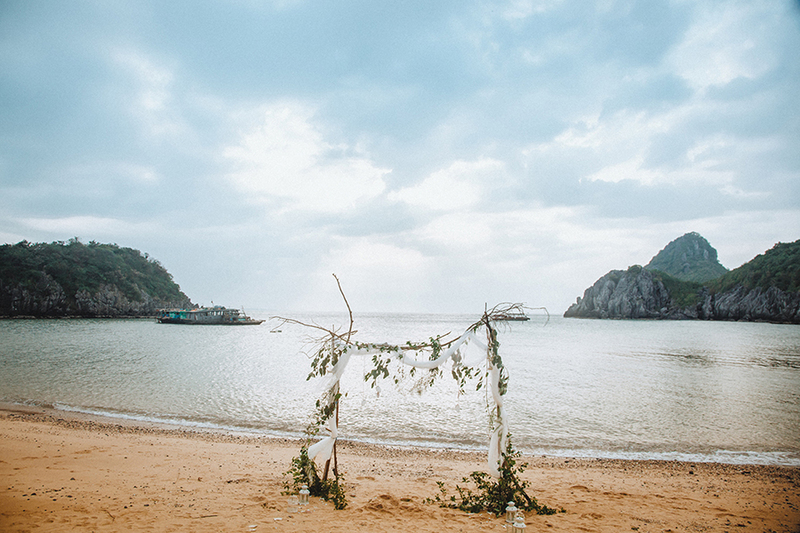 Some of the hotels on Cát Bà had beach ceremony packages but I wanted something more unique. 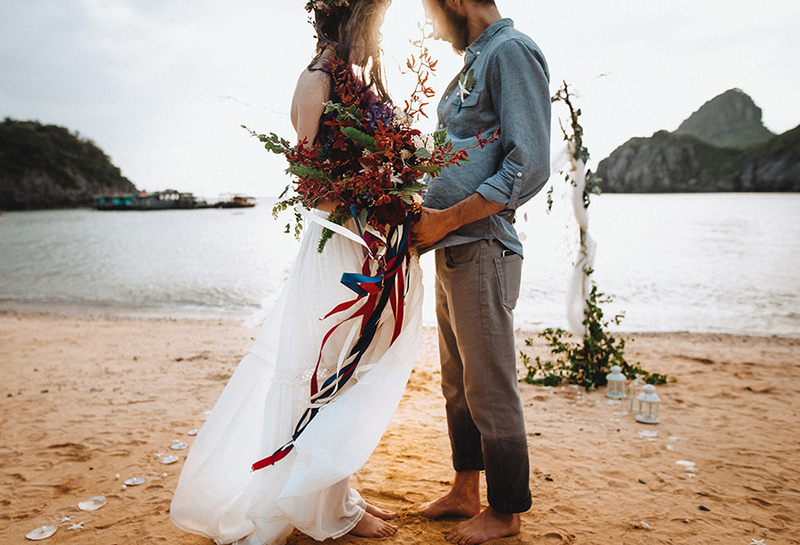 I had been searching for weeks and had all but given up hope when I came across HatMem Wedding Planner's Instagram. 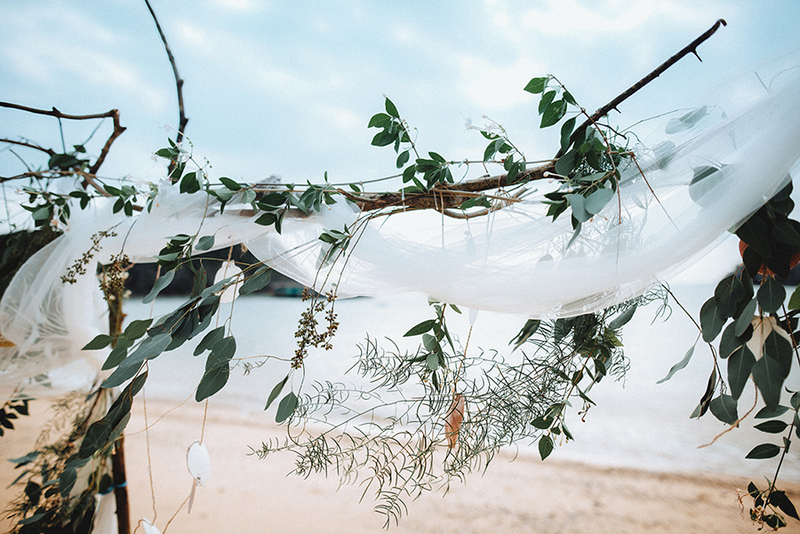 HatMem is run by Duong Vu Hong Anh (who also goes by the name Jenny) and she is unbelievably talented. 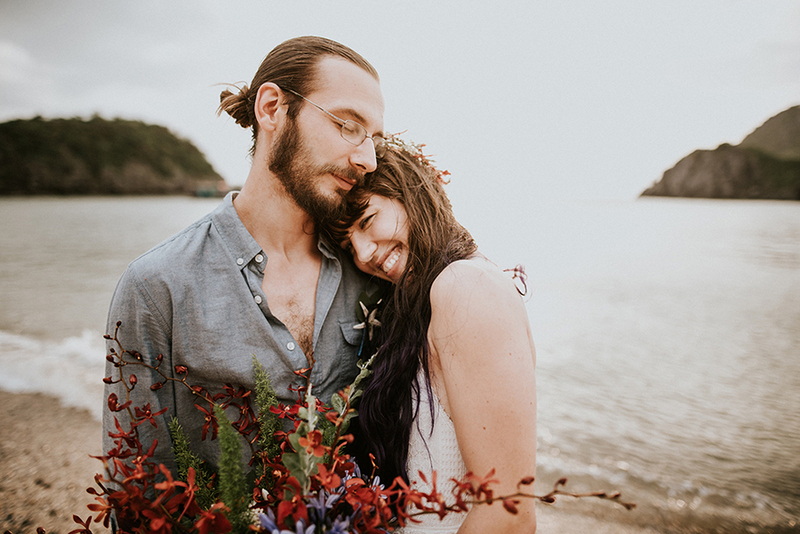 She had photographs of a couple of elopements she’d planned on her site and they were exactly what Matt and I had in mind. 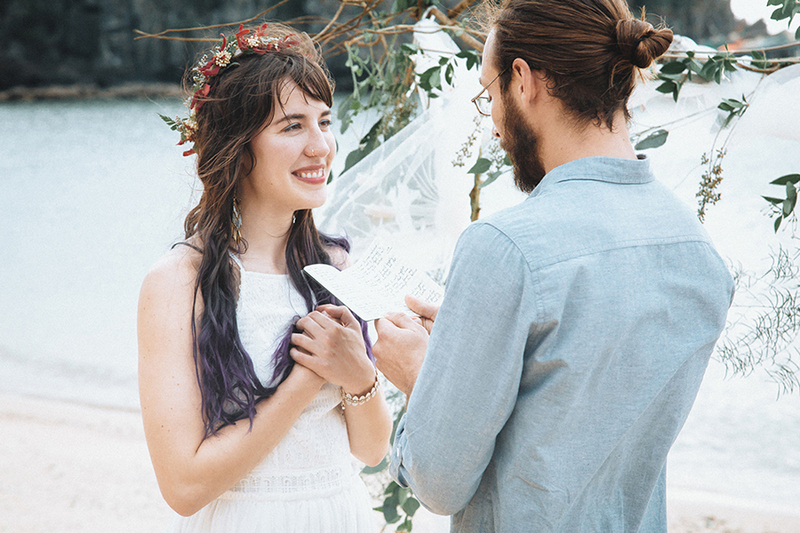 She is very artistic and seeks to make each wedding she plans unique and special. 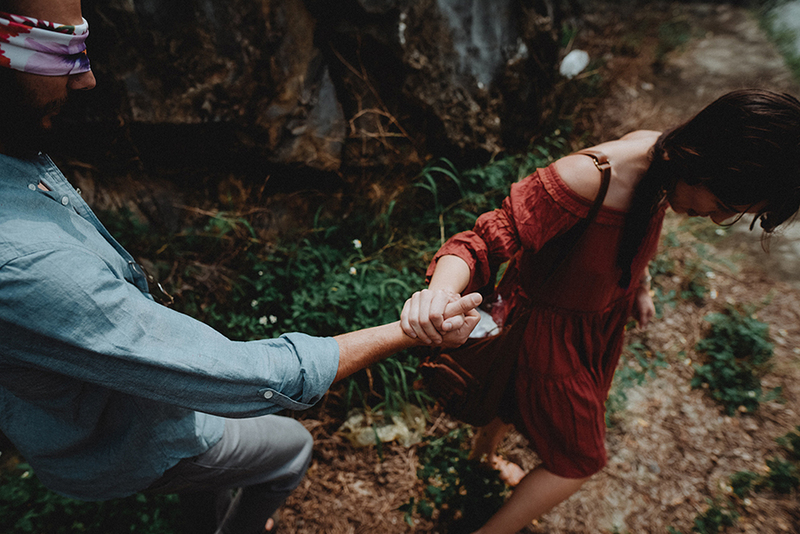 I sent her an email and called her on WhatsApp and we just clicked! 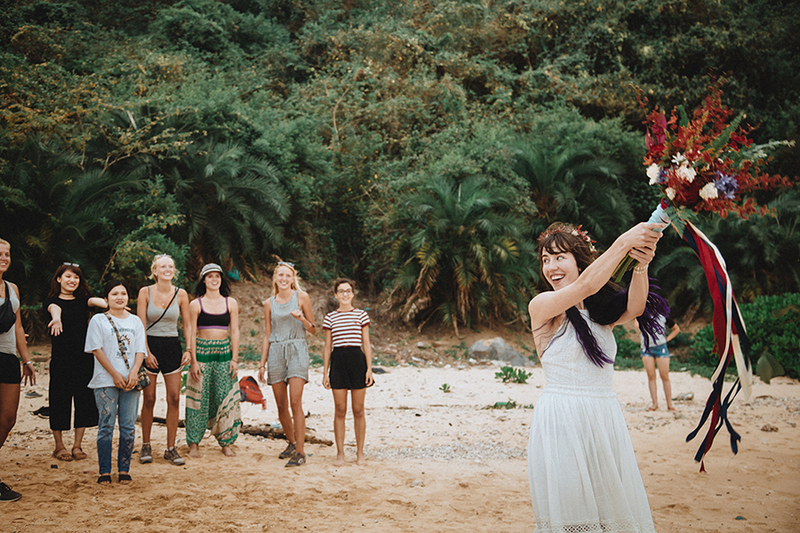 You know you can trust someone to plan your wedding when you feel like you are friends from the start. 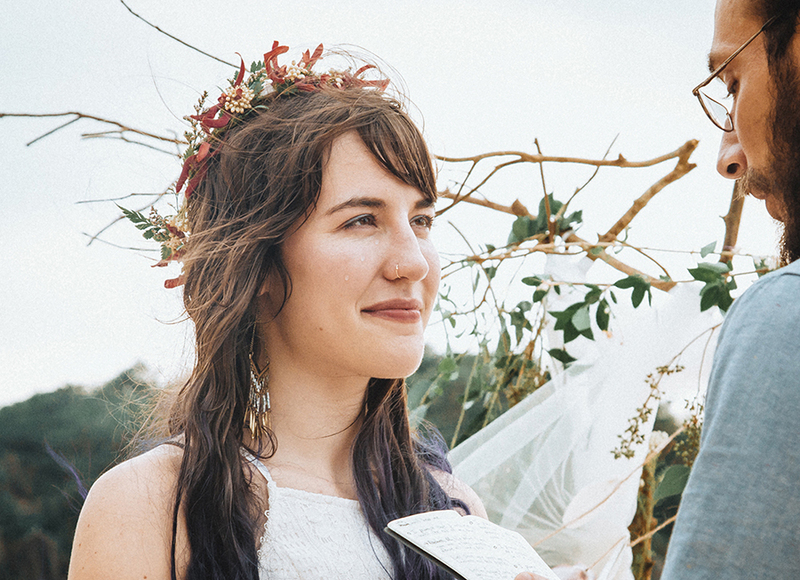 Congratulations on your marriage, Matt and Rachel! 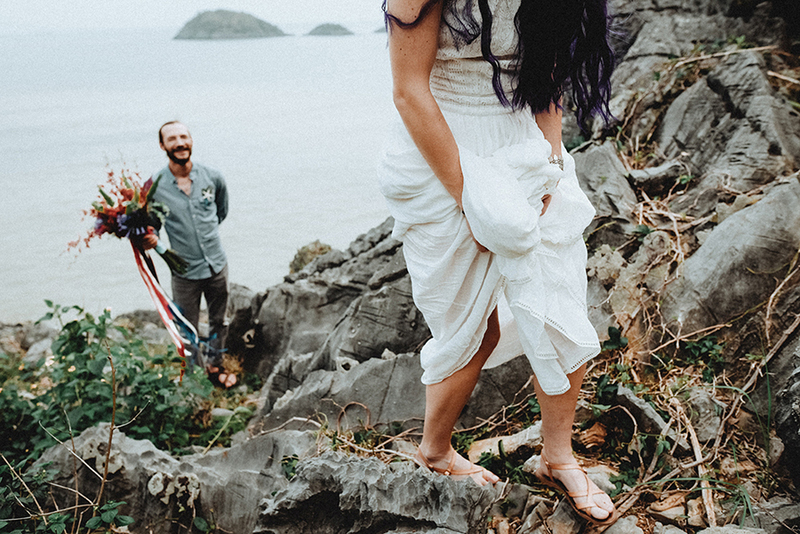 May it be every bit as beautiful as your elopement!